You may already have chosen a site for your home, and you’re looking for a builder who can help you make the most of your property with a home that lives up to the quality you demand. Vito Anthony Homes have been the builder of dream homes in this area for more than three decades. You can count on the same quality and eye to detail that have kept our Vito Anthony Home communities so much in demand. We have been involved in projects from 4,500 to more than 25,000 square feet. When the Rochester Symphony selected a builder to construct their fabulous showcase Symphony Homes of 1991 and 1996, Vito Anthony was the company of choice. 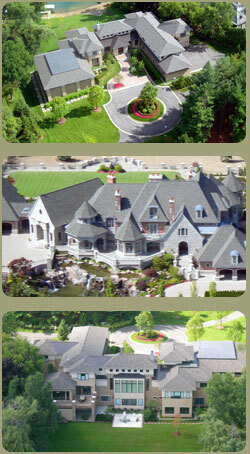 Call Vito Anthony Homes for a look at our portfolio of always impressive and often elaborate estate homes.